567s and The Great Debate: Should Hitters Hit Flyballs or Groundballs ? There are so many mis-teaches in hitting, and coaching players to hit predominantly ground balls is one of them. This is micro-management at its worst. Teaching players to simply make sure they put the ball in play exhibits a lack of trust in their ability, or in our ability to understand hitting and teach it the proper way. Nor should we ONLY practice hitting flyballs. And it isn't ok to strike out a billion times. College baseball statistical programs log all extra base hits as line drives. In programs like Statcrew and Dakstats, fly balls are outs. All hits are categorized in college as only line drives or ground balls. This is absolutely asinine. This epitomizes much of the statistical confusion at lower levels. MLB gets it right. Their stat programs note that HRs can be both fly balls and line drives. MLBs excellence in statistical analysis, data and measurement are second to none. MLB has a financial capacity to have highly sensitive visual analysis by computers as well as real, live human beings track every pitch and evaluate each contact. Every ball hit comes off the bat at a different angle. At Lee University, we call these angles "ball flights," and we grade and value each ball flight separately, giving our hitters great perspective on what they hit, and what we want them to hit. We encourage our hitters to hit 5's, 6's, and 7's. When you hit a barrel in practice, we track it as a 567. To hit a ball at these ball flights requires certain approaches, timing and contact points to be made. A "1" flight is a ball hit sharply into the ground, first bouncing near home plate. A "9" is the equal, but opposite angle, hit straight up into the air. A "4" flight is a hard contact that bounces in the back infield dirt. A "5" is perfectly squared up and cuts straight through the air. A "6" has backspin and "extra-base energy" (lots of doubles and triples here). Most HR's are "7" flight, though our strongest players can crush an "8" flight and have it sail out of the yard. 567's win. They require aggressiveness in approach and swing. Our weaker hitters, who have exit velocities typically between 80 and 90, have ball flight identities of 456. They can crush a "7" and not have the same success. Sitting there hitting "7" flights all day is a bad idea when you don't possess the bat speed or strength to create distance on the baseball. Truly, the line in assessing the difference between a line drive and fly ball is blurred, and subjective. We consider a "7" flight to be a fly ball, but to be the type of fly ball that our strongest hitters want to hit. A "6" flight is the line between a high-line drive and a low-fly ball, but let's call it what it is. Even a "4" flight is hitting the ball in the air! Here's where coaches get hitters jacked up: when you take the improperly sorted college flyball/groundball ratio data and impart those batting averages and out percentages onto your hitters, you communicate to your hitters that hitting ground balls is beneficial to them personally, and to the team. "Ground balls good. Fly balls bad." As you can see from the table below, the batting average (approximately the 14th most important hitting statistic) on GBs is higher than that on FBs in the big leagues since 2002, but the ISO power (SLG% - AVG: a terrific sabermetric for evaluating a hitter's juice) is SIGNIFICANTLY greater on FBs than GBs. Our final misstep in the coaching puzzle is the type of linear hand path/lacking separation/pushing the barrel forward to ensure we make contact swing that coaches dis-empower their hitters with. Hit the ball on the ground is a misnomer. I don't care if you run a 6.5 60. Hitting 456s or 567's will result in having an ability to drive in runners from first, create a higher slugging percentage, higher OPS, more runs created, and make a greater impact on the game. For more statistical data on LDs, GBs, FBs, go here. We chart hitters on-field batting practices to ensure they have accountability and visual reference for what types of balls they are hitting on a consistent basis. We have a goal for each hitter to hit 40% of their batted balls within their identity (either 456 or 567). At times, we demand our hitters make in-game adjustments. Windy day? Let's focus on 456's. Hitting is all about adjustment making, as is coaching. Teaching our hitters that hitting the right type of balls in the air is advantageous is an adjustment that many programs can make. A mental at-bat is a simulation, a visualization of an actual at-bat, and may include any number of real or imagined stimuli: bat in hand or imagined, uniform on or street clothes, in the dugout during a game or in your living room on a Tuesday night. Mental ABs use the power of imagery, visualization and the mind's eye, to enhance confidence and emulate the experience gained of having a live at-bat. The power in this practice is in the power of imagery. In relation to confidence from experiences, the mind cannot separate what is real experience from what is imagined. At Lee University, our lineup card has our game lineup on the left, and our "Mental ABs" lineup on the right. Non-starting hitters practice and go through their in the hole, on deck and pre-AB routines just as they would live in the game. If a hitter is a part-time player and only gets four at-bats this week, he does not have but four opportunities for focused thought, approach planning and adjustment making. If that same hitter got 16 mental ABs from the four games he in which he did not play, he now has 20 at bats of experience. Cold outside? Hitting facility closed? Got to the field earlier than anyone else? Tired of studying for your business finance test? GET YOUR MENTAL ABs IN. The elite hitters, I'm talking the top 1% in any league, know something most don't admit. Becoming the best hitter at your level takes unrelenting, insatiable, purposeful work ethic. Ok, you get it, the best hitters in the world work the hardest. Most of them, yes. Those who sustain success, absolutely. So many players "work hard." What's the big deal? What's so special about 1%? At 212 degrees, water boils. At 211 degrees, you have really hot water. At 212 degrees, that boiling water produces steam. Steam can power a locomotive. 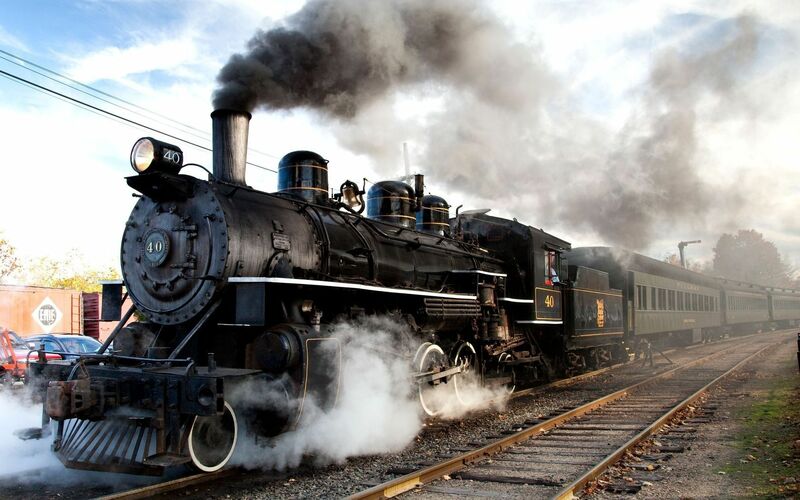 Locomotives powered the industrial revolution, changing the course of the United States' history. America's ability to harness steam had the same impact on the 19th century as computers did on the 20th century. So, why is the extra 1 degree, or the extra 1%, the main subject of this post? Because it is completely controllable! You are in control of your work ethic. Decisions shape our lives. In every moment, we decide what to listen to, how to prioritize, and what things mean to us. You can maximize your ability to RAKE. Listen to less talk radio. All those folks do is argue and complain, filling your brain with negatives. Instead, buy an inspiring audio CD. Perhaps something from Jim Rohn, Tony Robbins, Carol Dweck, Steve Springer or Brian Cain). Make your bed when you wake up. There is a reason the military service men and women make their beds, and it isn't simply attention to detail. Making your bed is a cause set in motion, an energy giving accomplishment that states: I'm going to win today. That thing you don't want to do: do it. Build emotional muscle by doing what you should do, when you should do it. Take a notepad with you to the cages. Write down your planned attack hitting, and keep track of your mental notes. Log the successes of your rounds, just as you would in the gym. Take a notepad to the gym! Surround yourself with accountability. Write your goals on your bathroom mirror. Get an accountability hitting partner. Print a photo of the person you admire most and plaster it in your locker. Go to darrendaily.com and get an A+ positive video message sent you every Monday-Friday. Call Dr. Rob Gilbert every day and listen to his voice recording! He has a different story every day. Put him on your favorites list! 973.743.4690. Whatever it is you are thinking of doing...DO IT. DO IT RIGHT. DO IT RIGHT NOW! Many hitters do not hit with an organized plan. They know they are going to hit today. That is their plan. To be a good teacher, you have to have an organized plan. To become a stronger athlete, you have to have an organized weight training program. To become more fit, you need an organized nutrition plan. To rebuild a car, you need an organized plan. You get the point. So, why do so many hitters hit with no plan and expect success? We call hitting the hardest single task in sport, and then show up to the gun fight with a sword. To be a better hitter, we must practice intentionally. We know the swing is important. A great swing maximizes bat speed, contact opportunities and assists good approaches. And no hitter can be consistent without a strong approach and ability to make adjustments. So, off to the cages we go to work on our swings, out bat speed, our contact and our approaches. First, the average hitter gets loose with four or five swings, mixed with a couple of awkward half-stretches and back twists. Ah, there we go. After one hard contact and a couple of 6-4-3s, we're ready to really start hitting. These types of cage hitting philosophies (or lack there of) are prime recipes for meddling in mediocrity and frustration. Don't be average, folks. Let's create a plan. Every hitter should have a plan for what he is going to accomplish in the cage that day. That plan should be a progression from fundamentals to more challenging aspects of hitting, and can include mechanical focuses, varying approaches, changes in velocity, adjustment making, mental game training, strength training and vision training. When you step into the cage, preset how many swings you are going to take. This innately makes the round competitive. You know how many swings you are taking and you will focus more on each repetition. The quality of the work immediately improves. To start, cap a round at 12 swings. Elite hitters will take so much time between pitches to go through their routine, that they may only take one swing every 10 seconds. 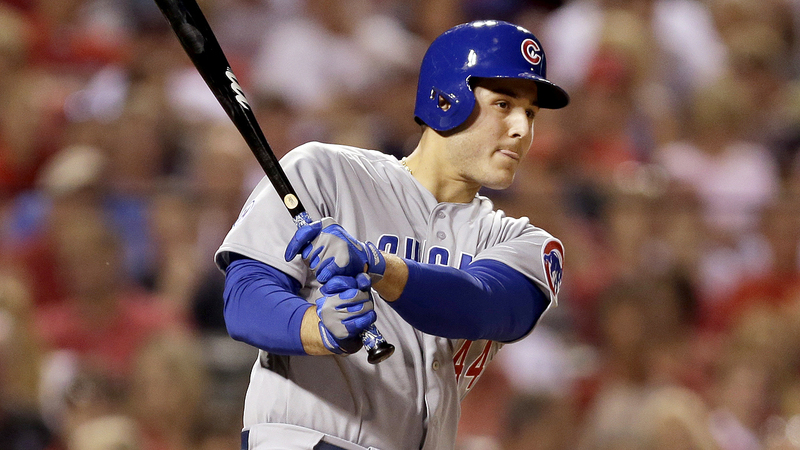 Most hitters take one swing every four seconds. This is an enormous difference in ability for the body to physically reset, and for the mind to refocus. Hitting is an anabolic movement. It's explosive. If you're swinging every four seconds, you must be trying to lose weight while you hit. Instead of getting tired and pushing through, hoping to finish your round on a swing that makes you feel good, set parameters and goals for each round. When each round and each swing is competitive, the thought process and adjustment making between swings should become more intentional and game-like. Rather than just seeing it and hitting it, know whether you are looking for a fastball or an off-speed pitch. What are you sitting on? Then hunt one side of the plate or the other. You cannot cover the entire plate. 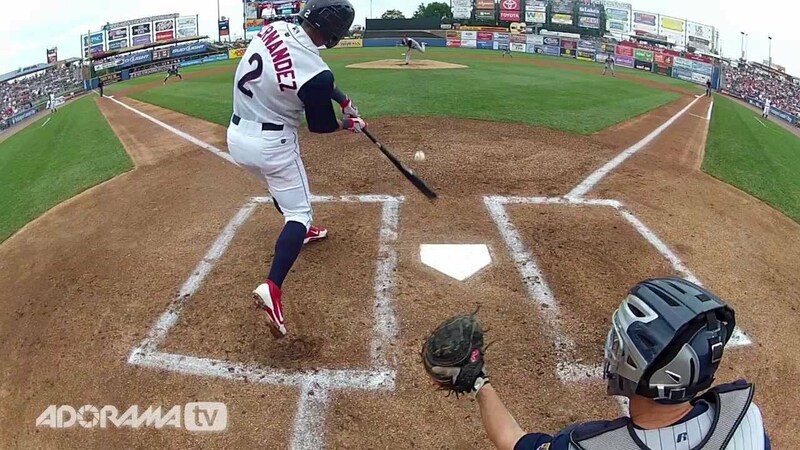 Sure, you can hit the baseballs thrown anywhere on the plate, but that shouldn't be your goal, should it? Desire to hit each ball with energy and aggressive flight into a gap. Let your misses be hard contacts that find holes. Don't seek to make contact. You'll achieve that goal too easily, and create a manipulative, handsy swing that lacks bat speed, and commits to pitches at the same instance that it generates bat speed. Your outs will be pull-side on the ground and opposite field in the air. Sound familiar? If you are seeking to improve your swing, work off of the tee, and progress no further than front toss. If you can't master front toss with a swing adjustment, you will struggle against a live arm. Once you have success against a live arm, increase the velocity to one that feels increasingly more stressful each round. Move the L-screen closer to the hitter, or have the BP pitcher throw harder. Eventually, we can work on the most challenging elements of hitting that mimic the most difficult game moments: high velocity/high spin fastballs, low and away fastballs, aggressive off-speed approaches and two-strike approaches. If you have access to a pitching machine, this transition can be easy. If not, don't settle for the same old easy, feel good BP. That isn't building your swing, and it isn't challenging enough to truly build your confidence. Many MLB hitters take notes. Some of them even do it in game. Taking notes allows hitters to retain more information, and to create a thesaurus of at bats, approaches, pitches, emotions, etc. When you hit, take a note pad with you. This is Josh Donaldson's tweet from November 13th of last winter. Did he end up having a good season? What's an MVP? This holiday season, be a giver. Give the gift of intelligence. Help your teammates work smart. Be creative, be intentional, be prepared. Most coaches and players have heard of quality at bats. Why are they so important? Focusing on QABs is about controlling what you can control, with a team-first focus, rather than a me-first focus. Hitting is challenging, which is why we love it, but when a hitter is consumed with stress about his own stats, fearful of future performances repeating past failures, or distracted by expectations, hitting has become nearly impossible. A focus on QABs allows a hitter to stay focused on simplifying the game. No one on base, first inning? I should be focused on reaching base, nothing more. Get a good pitch to hit, and I will maximize my chances of making a HARD CONTACT. Developing toughness in practice, and the mechanical savvy to hold your ground on an inside pitch, allows a hitter to react appropriately in-game and take an HBP. Acquiring plate discipline in front toss and batting practice allows a hitter to avoid weak contact more often, see more pitches, and improve his chances of coaxing a BB. After a foul ball and a close call for strike two, we find ourselves down 0-2. Battle your way from 0-2 to seeing 4+ pitches! You have just flipped the script on the pitcher! Now, many pitchers are begging to get any ball put in play, as they don't want their pitch count to continue to skyrocket. Any executed bunt, slash, hit and run or run and hit is a QAB! These are huge skills to master. Executing these skills keeps an opposing defense, pitcher and manager on the defensive, and alleviates the pressure to get hit after hit by only swinging against good pitchers. With a runner at second base and 0 outs, it's great to advance the runner from second to third, but this is situational. I should not give away at-bats in an effort to manipulate and push the ball back side. Our offensive goal is to score as many runs as possible each inning, not just one run, unless we are in a "tight and close" scenario. 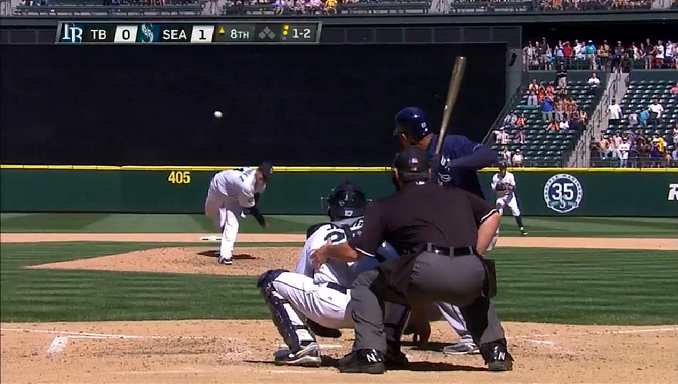 Any time you get an RBI while making an out, that's a QAB. Let's not focus on perfection. An RBI ground out may not be ideal, but it's quality. These aren't called Perfect At Bats! Of course, hitters must be taught which situations ask for them to potentially sacrifice a more aggressive approach for something simpler that more consistently gets the run home. Most situations with a runner at third and less than two outs create this QAB opportunity. Hits aren't QABs, but 2-strike hits sure as heck are. To get a two-strike hit, a hitter must take advantage of a mistake or fight his way to getting a pitch he can handle to score the run. Lastly, any at-bat that ends with 8+ pitches is a QAB, regardless of the result. The average number of pitches per plate appearance in MLB in 2015 was 4.30. Having an 8 pitch AB has a similar impact on a pitcher to having faced an extra hitter. The more of these high pitch ABs we can put together, the faster we can get into the bullpen. And with the exception of at the big league level, bullpen pitchers are their because they aren't as skilled as starters! Be a great teammate! 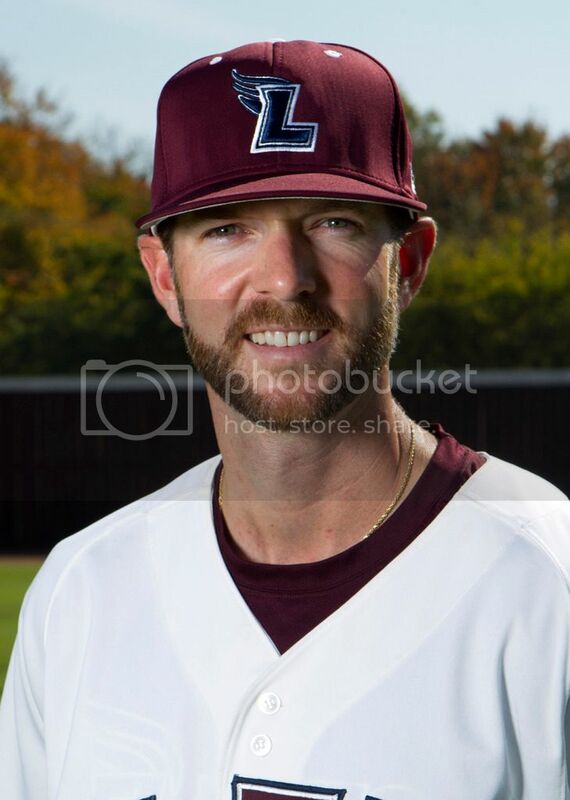 Focusing on ways you can help your team win will undoubtedly free you up emotionally to have more aggressiveness, confidence and commitment at the plate! Of course, we can't just succeed in the game, unless we practice how the game will challenge us. Compete with your teammates in the cage by envisioning and communicating what situations you have! The linear hand path swing, long believed to be the "short swing," is actually the longest possible route to the ball. You heard that right. 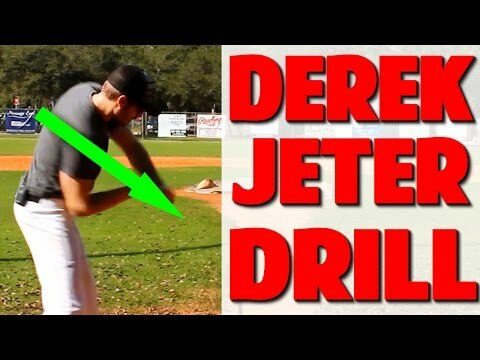 Derek Jeter's hand path is a poor teaching tool to young players. Sure, it maximizes contact...much of that contact is weak contact. A linear hand path causes a steeper swing path that is most effective on pitches down in the zone. Pitches up in the zone, those that should be easiest to drive for extra base hits, are often swung through or fouled off. Hitters with linear hand paths cannot achieve their maximum bat speed until the barrel releases at contact, rather than achieving max bat speed prior to contact, on a flat plane that enables multiple hard contact points, particularly on elevated pitches. Hitters that have linear hand paths must commit sooner to swinging at pitches than do hitters with flatter swings. Those flatter swings are just as "short." We shall explain. First, let's start by establishing a truth: a good load does not mean you will have a good swing, but a bad load all but guarantees you a bad swing or poor contact. The load is the most important part of the swing. It empowers balance, enables separation, creates momentum and maximizes bat speed and swing plane. That is the load. ***Note: for the purpose of this blog post, the term "load" is a simplification of both the load and stride. All movement before the front heel plants should be considered the load. Let's define a "short" swing. A short swing has a tight path to the body. Envision your car driving on the inside lane of a NASCAR track vs. the outside lane. The outside lane has a further distance to travel. It is a longer path. The same physics concept holds true for the swing. However, somewhere in the last century, a misunderstanding of swing-analysis created a pervasive and improper teach of the hand-path. A linear hand path is a swing in which the hands pull the handle of the bat, tight to the body, leading the knob to the pitcher. Envision your bottom hand playing a violin, pulling down and forward towards the pitcher. This is a similar hand movement to the linear hand path swing. This hand path can maximize contact on pitches inside or outside, ensuring I hit the ball more frequently when not knowing, pre-swing commitment, if the pitch will be inside or outside. Unfortunately, a hand-path that maximizes contact does not make a short swing. The back elbow staying tight to the rib cage does not guarantee a short swing, if said hand path is linear. Making contact is not the goal. Read that again. Making contact is not the goal. Making hard contact is the goal. To make hard contact, we shouldn't create a swing that maximizes contact not knowing where the pitch is going to be. We should learn approaches and situational hitting, and teach myself a swing that maximizes hard contact. This is where Hitting Twitter has recently helped so many young hitters begin learning the proper mechanics to become an elite hitter. 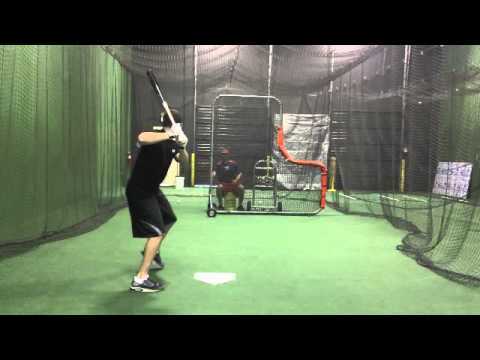 The concept of "swinging at tunnels" means that the flight path/plane/angle the ball is thrown from is the plane/angle at which I am trying to meet the baseball at contact. This is simple when pitchers are throwing an average spin, four-seam fastball. There is a flat, somewhat gradual downward descent to the hitting zone. However, every other type of pitch offers a path/plane/angle that is different at contact than originally perceived by the eyes at release. Obviously, this is due to spin. Even a high-spin fastball, albeit a fastball, will stay at an angle more true/less steep than an average fastball, creating the deception of rising towards the hitting zone. Of course, off-speed pitches often have sink, cut, run, etc. and must be met at a different anticipated path/plane/angle that which they left the pitcher's hand. I hypothesize that the creation of, and belief in, the linear hand path swing, stems from maximization of hitting pitches that change path/plane/angle from their original release point. Hitters with this type of hand path will hammer fastballs middle down, middle in, middle away, and "zone" breaking balls that are elevated. These same hitters usually learn to "hit the ball up the middle", "stay gap to gap" and look for fastballs down the middle, trying to "adjust" in and out by staying through the ball or pulling their hands tighter to their body. This approach is the approach that matches the linear hand path. Approach matching a swing path is a good thing. The bad thing about this dynamic duo of middle/middle approach linear swing path is that the majority of their outs are found pull side on the ground and opposite field in the air. These types of outs do not produce quality outs. The ugly thing about this matched approach and hand path is what we discussed before in regards to lacking maximum bat speed, susceptibility to elevation, susceptibility to inside and outside corner pitches. The middle of the plate is covered, but these hitters are only mistake hitters. The holes in this type of a swing/approach combination are glaring. When facing a pitcher who can truly pitch, they have nothing with which to combat his pitchability. Fastballs on the inside part of the plate are impossibly tough to keep fair without getting beat, popping up or grounding out, and the early commitment caused by the swing path make these hitters extraordinarily susceptible to change ups. Well, that's true for facing any great pitcher, you say? Au contraire. The proper swing path hammers elevated pitches, and still hammers pitches down. It hits inside and outside pitches by having approaches/or timing and rhythm, that allow for coverage of those zones. Their approaches and swing combination allow them to better cover the elite pitchers. This is why the best hitters of each era, of all time, and those who maximize their personal talent, all have similar swing path mechanics. Look them up on YouTube: Babe Ruth, Hank Aaron, Barry Bonds, Miguel Cabrera, David Ortiz, Josh Donaldson, Russell Martin, Kevin Pillar. If you don't know who those last two are, turn on the the Blue Jays. They're pretty good. And all of this isn't to say you can't be successful with a linear hand path swing! Dozens of Hall of Famers had linear hand paths, most notably: Tony Gwynn, Derek Jeter, Rod Carew, Lou Brock. Notice these are all high contact hitters with average, below average power. Each of these hitters could have had above average power numbers with a different swing, thus improving their hard contacts, OPS, WAR and general offensive impact on their teams. They were GREAT hitters. GREAT! But this does not mean they could not have been better. This does not mean we should teach their swings to all the little boys and girls in Little League, high school and college baseball. Hitters who are extremely physical, with superior strength for their level, can get away with linear hand paths. They have the strength at contact to produce maximum ball carry while still hitting the ball deeper, or steeper, in their swing. To read about the proper flat swing mechanics, read my blog post from July 20, 2014. Keeping all of this in mind, approaches are more important than swings. Toughness and commitment are more important than swings. Yet, if we work so diligently at our craft, should we not pursue greatness in all areas? We'll see you on the diamond. Be excellent.